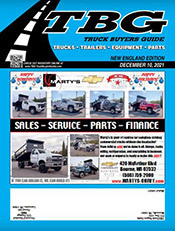 The New England Edition of TBG/Truck Buyers Guide is published monthly. 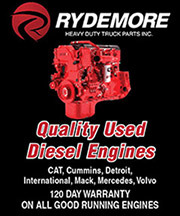 It is mailed to registered owners of a Class 6, 7, and 8 vehicle in Connecticut, Massachusettes. Rhode Island, New Hampshire, Maine and Vermont. The deadline for advertising is the fourth Friday of every month. For additional information, please contact the publishing office or a local sales representative from the list below. Our salespeople are assigned specific territories and can assist you with your advertising needs in any of our editions. Please contact the salesperson in your area. If you are not sure who your salesperson is, please contact the publishing office. TeleSales - Florida, North & South Carolina, Georgia, Tennessee, Alabama, Mississippi, Northern & Western Pennsylvania and all states not served by the regional salespeople.